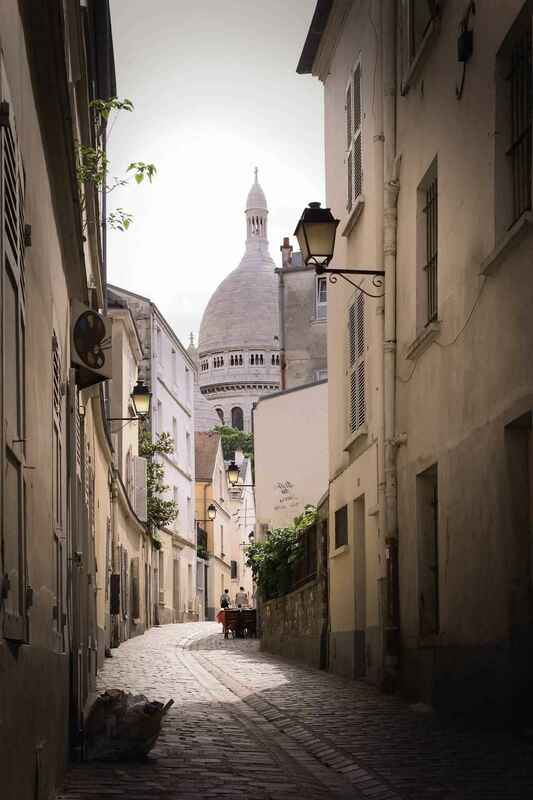 Montmartre is a large hill in Paris's 18th arrondissement. It is 130 metres (430 feet) high and gives its name to the surrounding district, part of the Right Bank in the northern section of the city. The historic district established by the City of Paris in 1995 is bordered by rue Caulaincourt and rue Custine on the north; rue de Clignancourt on the east; boulevard de Clichy and boulevard de Rochechouart to the south. containing sixty hectares. Montmartre is primarily known for the white-domed Basilica of the Sacré-Cœur on its summit and as a nightclub district. The other, older, church on the hill is Saint Pierre de Montmartre, which claims to be the location at which the Jesuit order of priests was founded. At the beginning of the twentieth century, during the Belle Époque, many artists had studios or worked in or around Montmartre, including Salvador Dalí, Amedeo Modigliani, Claude Monet, Henri de Toulouse-Lautrec, Piet Mondrian, Pablo Picasso, Camille Pissarro and Vincent van Gogh. Montmartre is also the setting for several hit films. This site is served by metro, with line 2 stations at Anvers, Pigalle and Blanche and line 12 stations at Pigalle, Abbesses, Lamarck - Caulaincourt and Jules Joffrin.